Ohio started wine production around 1820 in the Cincinnati area. Ohio led the nation in wine production by 1860. Because of vine diseases and loss of manpower due to the Civil war, German immigrants brought the art of wine making the Lake Erie area. There were 58 vineyards in Ohio by 1890. 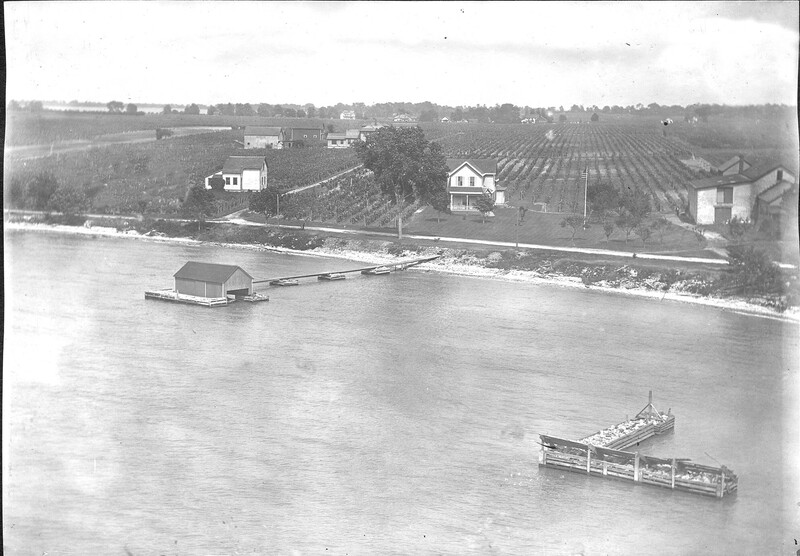 Within 10 years, the Ohio shoreline bordering Lake Erie was known as the ‘Lake Erie Grape Belt’. Thousands of gallons of wine were being produced by wineries all around Lake Erie. The Catawba was the most popular grape. Kelleys Island contains about 2,800 acres or 4 ½ square miles. The first grapes that were planted in 1841 were Isabella and Concord. By 1857 there were 70 acres of vineyards on the island, but within 3 years there were 230 acres of vineyards. By 1872, the vineyards on Kelleys Island could annually produce more than 160,000 gallons of wine. Within 20 years, almost everyone on the island was involved in some aspect of the wine industry and the Ohio islands were almost completely covered with vineyards. The island had six large wineries and four brandy distilleries by 1914. The distilleries produced over 11,000 gallons of brandy. When Prohibition was enacted in 1919, there were only five wineries still in operation on the island. Kelleys Island Wine Company was the only one that stayed in production during Prohibition. They made grape juice. Wine made on the island was shipped to the mainland by boat. 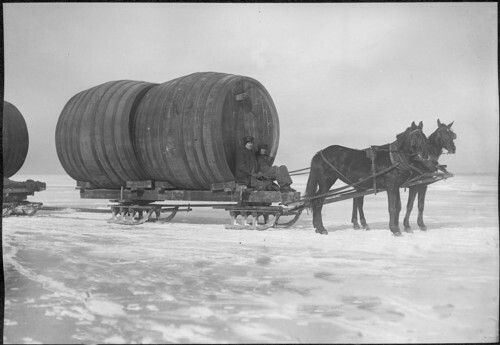 In the winter, the lake would freeze so they would ship several hundred large casks to the mainland on sleds pulled by horses.